The CDC has just reported a widespread surge in flu activity in North Carolina, making it essential for families to prepare now. 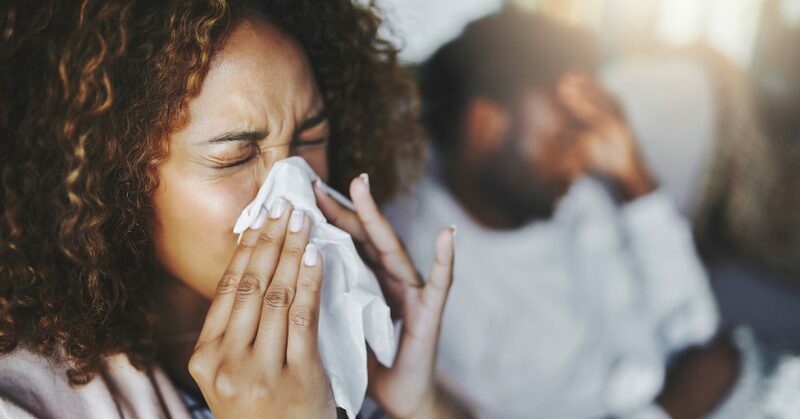 North Carolina had an especially busy flu season last year, with more than 200 people dying from flu-related complications. Fortunately, flu vaccinations can help protect your family’s health this season. These potentially life-saving vaccinations are affordable and easily obtained at your nearest FastMed Urgent Care clinic. Vaccines are widely available throughout the entire flu season, which lasts from October to May. Receiving a flu shot is essential, but it’s also important to take precautions at home to help decrease the spread of germs. Plus, those who may have already been affected by the flu can receive treatment that can ward off complications. Keep reading to find out how you can keep your family safe during this year’s flu season. How Can You Catch the Flu? Influenza types A and B can come in many variations and can cause outbreaks multiple times throughout the flu season. The flu is very contagious, making it important for infected people to avoid contact with others. Coughing, sneezing, and even speaking can cause infected droplets to enter the air, spreading the virus to others. Those who suspect they have the flu should avoid going to work, school, or participating in any activity that involves being around others. Many people believe they’ve come down with a severe cold only to later discover that they have the flu. Flu symptoms can include muscle aches, a persistent cough, chills, fever, or nausea, among others. If you’re experiencing severe cold symptoms, it’s important to visit your healthcare provider or urgent care center to determine if it might be the flu. When suffering from the flu, it’s essential to rest and consume plenty of liquids to ward off dehydration. For severe symptoms, your healthcare provider may recommend an antiviral medication to ease your discomfort and lessen the duration of the illness. Over-the-counter cold medications can also be used to alleviate symptoms and reduce fever. How Can the Flu Affect the Elderly? People over the age of 50 are strongly advised to receive a flu shot. Older patients are much more susceptible to complications like pneumonia and dehydration, which can result in a hospital stay or even death. The flu also can aggravate existing conditions like diabetes or asthma, so it’s important to receive a vaccination if you’re affected by these conditions. Taking action at home can help to avoid spreading harmful flu germs. Covering your mouth when you sneeze or cough or using the crook of your elbow can help reduce the spread of infected droplets, and disinfecting surfaces regularly can help keep your home germ-free. Kitchen counters, door handles, and bathroom knobs are all examples of frequently touched surfaces that can be covered with microbes. When possible, avoid touching your nose, eyes, or mouth, which are areas vulnerable to infection. And don’t forget to wash your hands regularly, which is one of the best methods for preventing the spread of germs. Engaging in preventative measures at home and educating yourself about the signs of flu are important, but a flu shot remains the best way to avoid infection this season. Take control of your family’s health—visit FastMed today to receive our specially priced $20 flu shot.